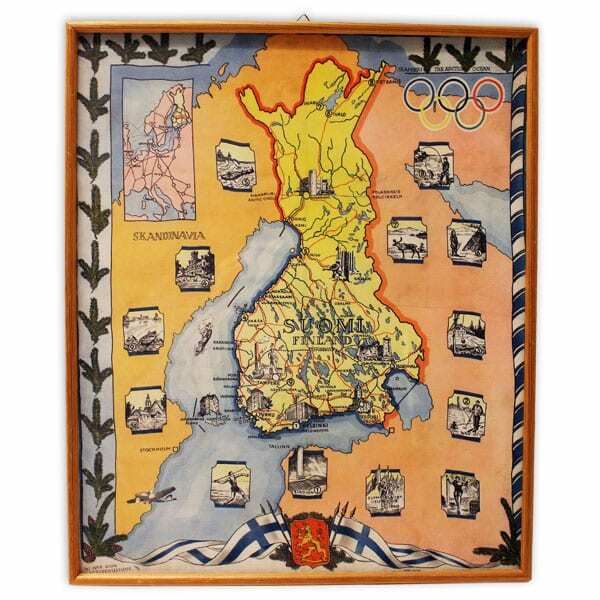 Description: Framed; The map of Finland and 10 little pictures of different Finnish towns. The Olympic rings, the Finnish coat of arms and flags. Other information: Postmarks: PAT.HAK. 10114 HATTUTEOLLISUUS O/Y.